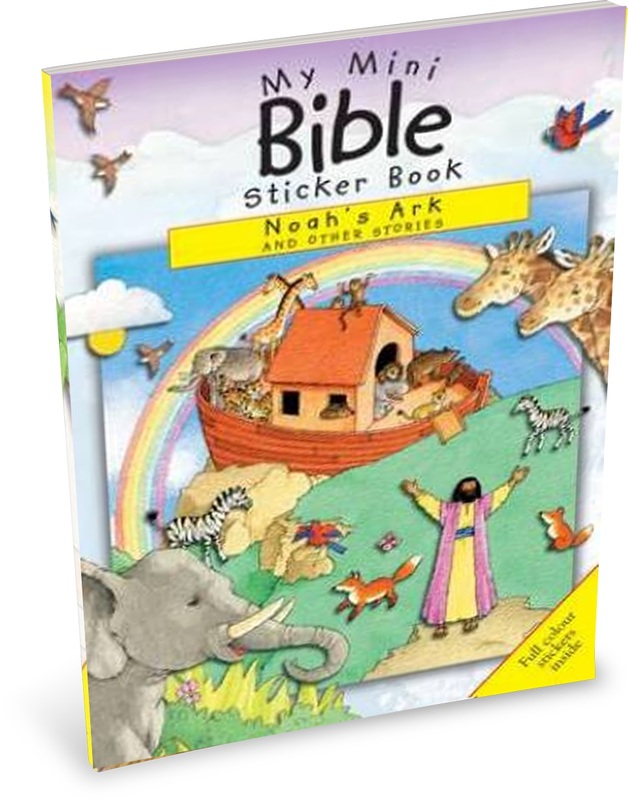 Fill up Noah's ark with this books of bright stickers and a lovingly illustrated story of Noah and the flood. Want a unique way to introduce the fascinating stories of the Bible? 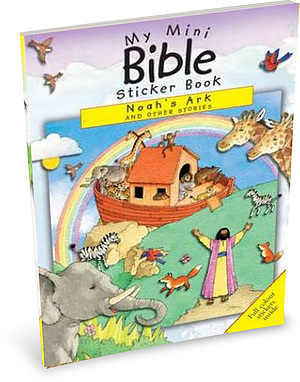 From the 'My Mini Bible Sticker Book' series comes the latest edition including the story of Noah's Ark and more. Popular among toddler groups and children's clubs, these delightful little booklets offer several mini Bible stories with full-colour stickers to complete the pictures. Inside children will find traditional and respectful illustrations which bring meaning to the stories with shaped gaps where they must match the stickers to the stories. Suitable for ages 4-7's these affordable stickers books make wonderful prizes, giveaways, and stocking fillers. My Mini Bible Sticker Book: Noah's Ark and Other Stories by Sally Ann Wright was published by Authentic in September 2014 and is our 962nd best seller. The ISBN for My Mini Bible Sticker Book: Noah's Ark and Other Stories is 9781860249204. Be the first to review My Mini Bible Sticker Book: Noah's Ark and Other Stories! Got a question? No problem! Just click here to ask us about My Mini Bible Sticker Book: Noah's Ark and Other Stories. Read about Noah and his ark, Deborah, who won a battle, Elijah, who was fed by ravens, Jonah and the big fish, and stories of Jesus and his friends. Choose the matching stickers and complete the picture.